Top Five Best Action Cameras For 2019 - Which? We select the top five best action cameras we've tested, to help you find the ideal rugged camera to suit different needs. Action cameras vary widely in price and features, so you need to identify which model will suit you. Whether you're after a cheap action camera or a more advanced model that shoots 4K video, our expert advice will help you choose from the available cameras. Since action cameras are built with durability in mind, this means they can be used in places where you’d never take another camcorder. Thanks to ruggedised and waterproof design, they can withstand a dunk underwater, being dropped on to hard surfaces and freezing temperatures. Our table below shows the best of the best action cameras from a range of manufacturers, such as Garmin, GoPro and Sony. These models not only excel at recording high-quality video, but are durable and easy to use. We've also exposed some action cameras that aren't worth your money due to their poor video and still image quality. There's no shortage of Full-HD action cameras out there, but the manufacturer claims that this model is a cut above the rest. For a start, it uses professional-grade file formats and image stabilisation to help you achieve fantastic-quality footage. Are these claims borne out by the results? We took the camera for a spin to find out. This action cam is packed with features to help you film high-quality video up in the air or under the sea, and claims to serve up 'mesmerising' 4K video. But is that really the case? We sent this action cam to our test lab to find out. 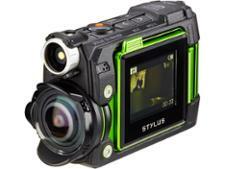 A brilliant action camera that is equal parts rugged and lightweight. With improved battery life and still image quality, this camera excels when shooting underwater, but how easy is it to use? We tested it so you don't have to. Not found the right product for you? 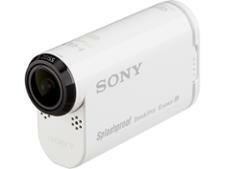 Browse all our action camera reviews. With an action camera, there's nothing more important than the quality of the video and pictures it takes. So when we test cameras, that's why we record video indoors, outdoors and in low-light conditions. This way, we can highlight the worst action cameras that will give you dark and shaky video, plus any that are difficult to use thanks to a poor user interface or fiddly buttons. If you want a first-class action camera experience, make sure you avoid these action cameras at all costs. Price While it’s possible to find an action camera for less than £50, if you spend £200 or more you’ll receive high-quality 4K video, fantastic image stabilisation and built-in wireless connectivity. Resolution This is the number of pixels in each frame captured by the camera and the amount of detail. 1,080p video format is Full HD (1,920 pixels wide by 1,080 pixels tall) and 720p (1,280 x 720 pixels) is considered as standard HD resolution. While 4K resolution (3,840 x 2,160 pixels) is four times as many pixels as Full HD. Mounting system Almost all action cameras are designed to be mounted or attached to different surfaces or objects. A good action camera will have a universal mounting system, which means you can clip your camera onto anything without the need to buy additional accessories. 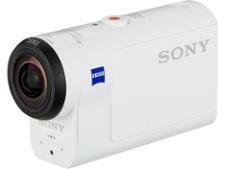 Also, the best action cameras use the same mount system across their range of cameras: a one-mount-fits-all solution. Water resistant and waterproof It’s important to select a camera that's waterproof if you plan to use the camera underwater. Some models are water resistant, meaning they can only be submerged in water to a limited depth. Other cameras require a special waterproof case, called a housing, to be fully waterproof. Check the camera specifications for details on acceptable water depths. Battery life Even the best action camera with a sizeable battery will only last a few hours, so it’s worth investing in multiple batteries, or a portable charger, to ensure your camera doesn’t run out of juice when you need it most. Battery capacity is measured in milliamp hours (mAh); the larger the number, the more charge they can carry. For more information on how to make the best choice when you buy your next action camera, visit our guide to how to buy the best action camera.